In addition to helping the farmers survive by buying their coffee and tea, and the hundreds of workers at the raw coffee processing plant in Kampala, we are currently supporting and sending money to three schools and orphanages in Uganda. We are currently supporting three schools of which one is an orphanage, another is a practically an orphanage, and the other is in a rural, nearly primitive area. Bulamu Children's Home is an orphanage with over 200 children, for which they only have monthly support for about half. They have received gifts and aid from Europe and America to build decent classroom and living facilities, but lack funds for some basics things such as ample food and salaries for teachers and staff. The current staff works purely for room and board. Rejoice School is a school in the hills above Mukono, Uganda. This is a very poor area. 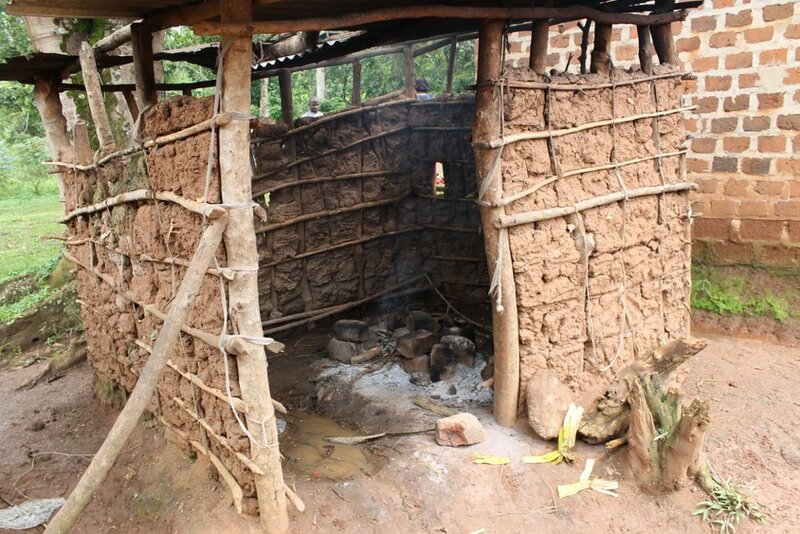 As one can see below the classrooms and the cooking area (over an open fire), leave something to be desired. As with Bulamu, teachers work for food and help with living essentials. God Cares High School in Kampala, the capital of Uganda, is a part of the ministry Buyamba Uganda, begun by the late, pastor Bethel Dongo and is the most developed of the three entities we support. God Cares also has a primary schools in Kampala and in Jinja. Through the work of Pastor Dongo, a wonderful staff and churches in America, God Cares and Buyamba now house and educate over 1200 children and are seeing many go on to university. Buyamba has recently taken on refugee children for the war torn southern Sudan region, to the north of Uganda. They also still need help covering university costs for their graduates and expanding to take in more children. If you would like to support a child or children, in addition to what we send from coffee profits, please fill out the form below and we will get back to you with how to best do that. Please indicate which of the three projects you wish to support in the comments below. Any and all gifts are tax deductible through United States 501(c)3 non-profit organizations.